Noize Creator's first steps into music production were back in 1991 while he was trying to mix music and do tracks with 2 tapedecks. Soon after, he got interested in techno, and started djing at illegal parties. In 94 he bought his first equipment and started to focus on music production more professionally. His tracks were getting harder and faster, and by the end of 94, he had released his first recordings on Juncalor Records, his own Brutal Chud label, Rage Records, Blood n Guts, Killing Rate and Surgeon16. 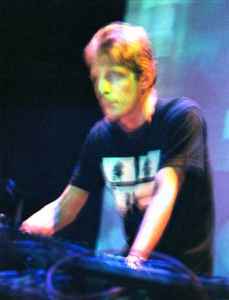 In early 98 he released "kingz of noize" on the midwest Drop-Bass sublabel SixSixtySix. He also started another label, Suburban Trash Industries. Since then he has put out many important electronic records on his label. Noize Creator has been released on; active underground, ambush, appareil, bass2 records, boneheddz, conceptual chaos, hangars liquides, human error, kill out, quarz music, sixsixtysix, trackless, war of nerves, and zod. Note - do not confuse with Noize Creator (2). This is Diego Buffoni, the Italian gabber producer also using this identical alias.